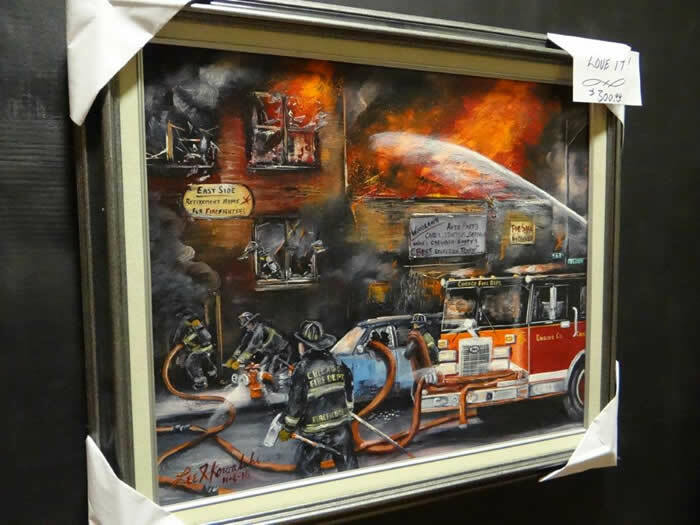 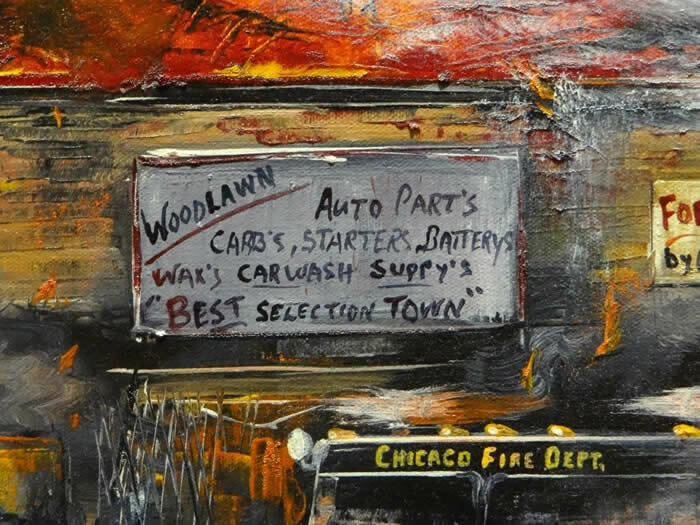 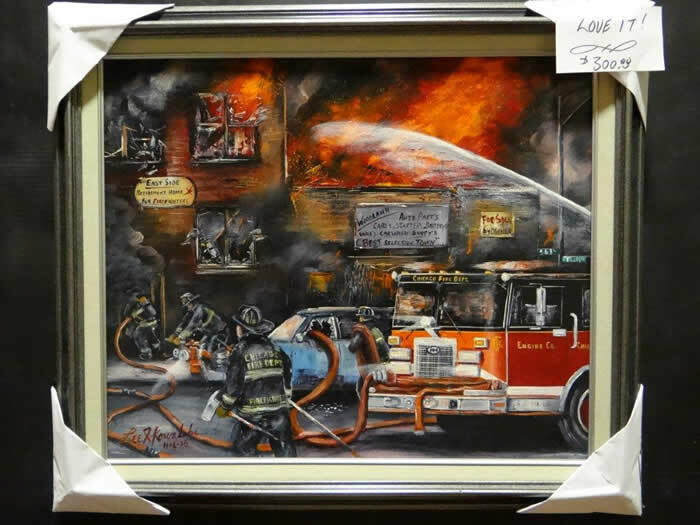 Woodlawn Auto Parts Fire (Larger Painting) . 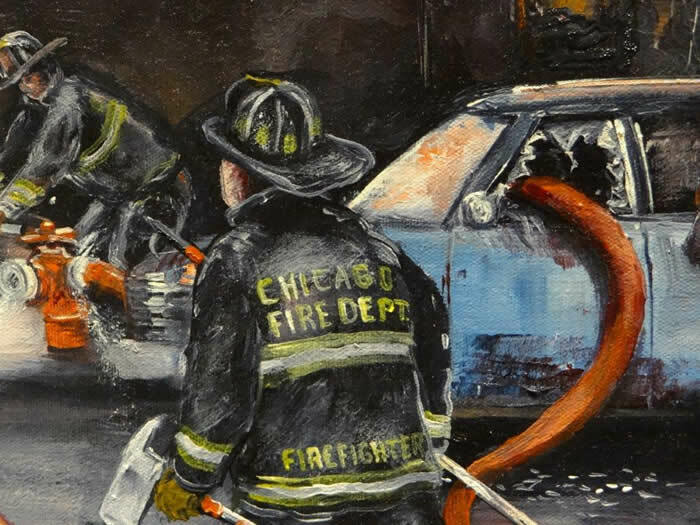 Painting size----24" wide x 20" high. 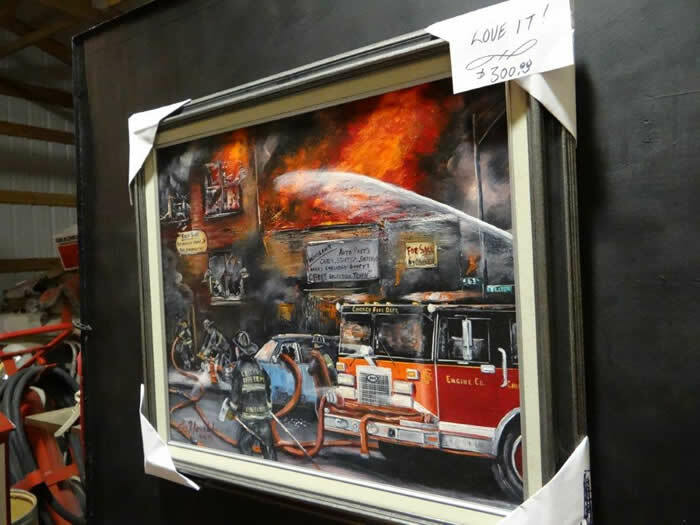 Frame size-----------30" wide x 25" high.